Get Ready To Be Dazzled And Gobsmacked By A Range Of Kooky And Loveable Characters In This Show - From A Moustachioed Cyclist To A Crazy Musical Star To Daredevil Circus Acrobats! A Poignant Medley Of Foot Tapping Sketches - It’s An Extraordinary & Unique Visual Spectacle With Both The Marionettes & Marionettes Appearing On Stage Together. Watch In Amazement As They Gracefully Move In Harmony, & Bring To Life Heartfelt Messages Regarding The Value Of Love, As Well Its Universality And Timelessness. 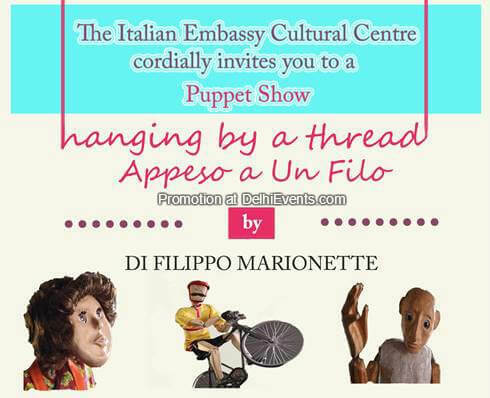 A Evocative Performance That Will Entertain & Captivate Children & Adults Alike.